Sapwood Clubs and Limited Brewing Experiences Now Available! We have been so excited by the support that has been shown to us since launching our web store this week. Yesterday, we sold out of all 50 Founder’s Club spots in just a day! If you still want to get in on the club fun, there are still spots available for the Sap and Wood clubs (if you join both you’re 95% of the way to Founder’s club). The Wood club is for sour and funky folks. Membership grants you two .5L bottles of each of our first eight barrel-aged sour/funky bottle releases. This will include at least two releases exclusive to club members – using fruits and other ingredients too rare or costly for large batches. Wood Club members also get $2 off and priority access to pre-purchase limited sour beers before the unwashed masses! You’ll also receive a Sapwood decanting basket. The Sap Club Membership entitles you to $1/off each full pour or growler at our tasting room with a sweet membership card. It also allows you to purchase growler fills of any fresh hoppy beers, even the special kegs and weird experiments that no one else can bring home – in your club exclusive 1L growler. Includes admission for two to our annual holiday party (December 2018) and pre-release access to canned IPAs (when that finally happen). New today in the web store are some fun limited brewing experience opportunities! For example, you can join our tasting panel for a day for a blending experience where you will get to taste-along as we decide which barrels to combine to create a new sour beer! You will receive two bottles of the resulting beer, one to enjoy now and one to cellar. Design, blend, and drink the sour beer of your dreams! You and up to five friends will work with us to blend a beer to your tastes. Comb through our barrel cellar to select your ideal blend of wine and spirit barrel-aged beers. You can name the beer, help design the logo, and then you’ll receive the entire 100 (.5L) bottle run and ultimate bragging rights! If hoppy beer is more your thing, work with us to design and brew a hoppy beer to call your very own! When the beer is finished, come back for free pours for an evening with up to five friends. You’ll get a sixtel/Corny keg of it to enjoy in your kegerator, or free pours (limit two per day) and growler refills (one per day) until the beer runs out! Live your dream of adding a bucket of hops to the whirlpool or scrubbing a mash tun from the inside by participating in a Sapwood Cellars brewday! 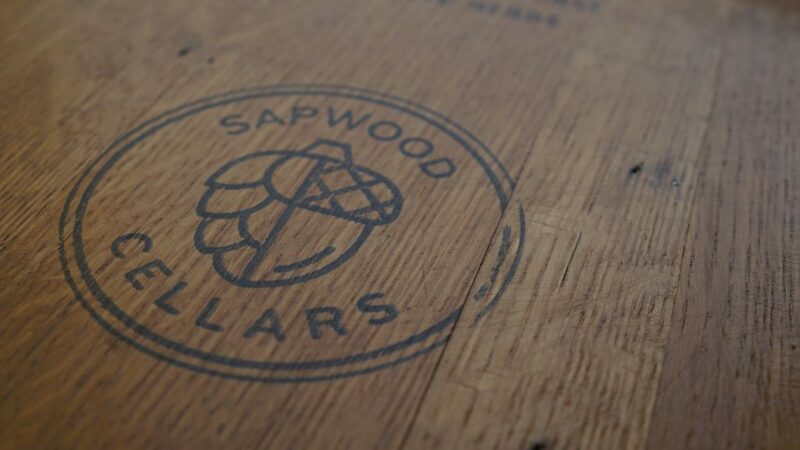 You’ll get a full day of the Sapwood experience with us, and an invite to taste the beer with us when it is finished! If you’re a homebrewer and bring a bucket or carboy we’ll send you home with 5 gallons of wort. For those more interested in seeing how Mike and Scott got their brewing start, join us for a brew in DC on the Mad Fermentationist homebrew setup! Bring your questions, and homebrew you’d like feedback on. Interested in the getting into the weeds on brewing sour and hoppy beers? Join Mike for an exclusive online video chat on brewing sour beers including details on microbes, barrel sourcing, recipe and process design. If you are more into the hop thing, join Scott in an online video chat and Q&A as he discusses what he has learned writing a book on the science of brewing hoppy beers! Thank you to everyone that has supported us so far!